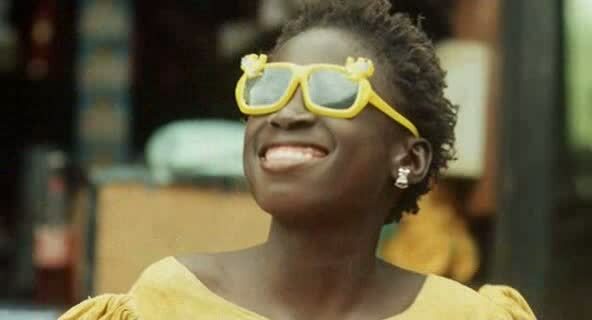 The second part of an unfinished trilogy titled Tales of Ordinary People, Senegalese maverick Djibril Diop Mambety’s posthumously released The Little Girl Who Sold The Sun (1999) centers on a physically challenged girl who makes her living selling Le Soleil in the streets of Dakar. We witness her bravely fighting the everyday tyranny of cops and other street urchins, who try to elbow her out of business, and helping out her blind grandmother. The overwhelming optimism of the film, admittedly, is an attempt to balance the cynicism and anger of the directors’ previous feature, Hyenas (1992), which presented an Africa that had buckled to the pressures of global economic powers. Bathed in sunlight and shot almost entirely in open spaces, The Little Girl seems to be characterized by a pair of contradictory forces at its heart. On one hand, the film, on its face value, comes across as one of those million well-meaning, liberal, independent movies which dodge real issues in favour of readymade humanist themes and identity politics. On the other, it is clear that Mambety is attaching an allegorical weight to this simple tale, put into place by a fantastical political event – all of Africa leaving the Franc zone and taking up a sovereign currency – which reveals that Mambety’s fervent commitment to the “African cause” hasn’t lapsed into some kind of “everyman for himself” philosophy. Mambety’s recognition of the girl – as herself – and her condition prevents The Little Girl from becoming frigidly schematic or crumbing under its symbolic weight. When the girl’s friend carries her on his back, after her crutches have been stolen by the boy gang, you simultaneously sense an individual’s resilience to her immediate surroundings as well as a soaring political utopianism.